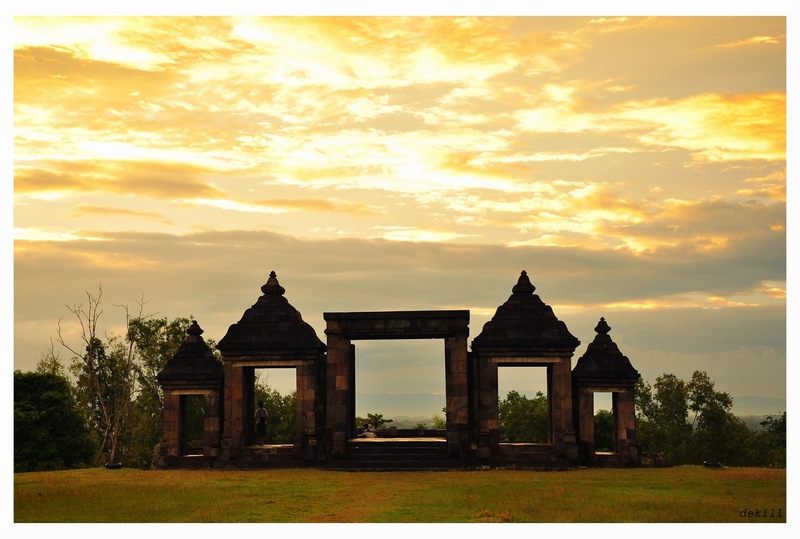 Ratu Boko Palace Complex is located on a plateau, south of Prambanan Temple in the province of Yogyakarta, Indonesia. To get to the Ratu Boko Palace, take the minor road from Prambanan towards Piyungan for less than half an hour and you will easily find the palace complex. 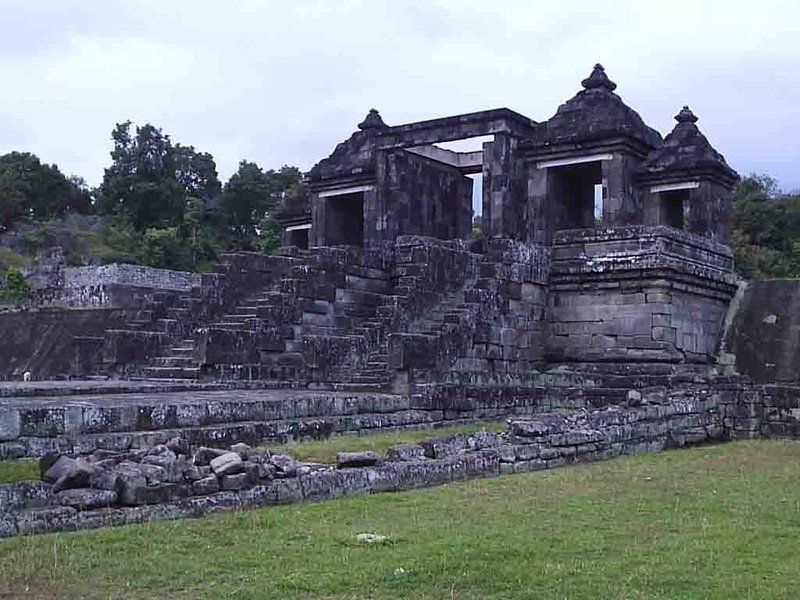 Ratu Boko Temple (Ratu Boko Palace) is a magnificent building which was built during the reign of Rakai Panangkaran, a descendant of Sailendra dynast. The palace was originally named Abhayagiri Vihara ( meaning monastery on a peaceful hill ) was built for seclusion and focus on the spiritual life. Being in this palace, you can feel the peace as well as see the sights of the city of Yogyakarta and Prambanan Temple with a backdrop of Mount Merapi. On a hillside plateau, overlooking Prambanan temple complex and with a view to Mount Merapi behind Prambanan Temple complex, lie the remains of a once grand palace. 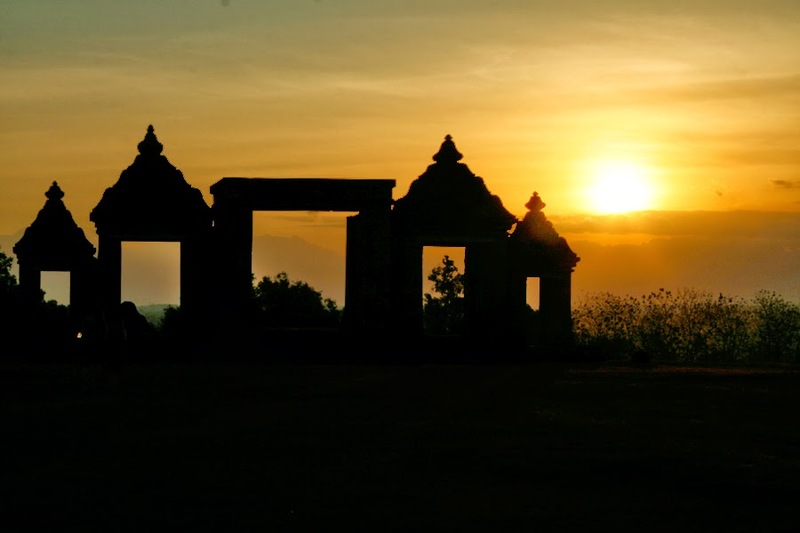 The palace (kraton) is named Ratu Boko after a King Boko of local folklore, but the real owner of the palace is more likely to have been a king of a local dynasty. The position gives a view worthy of royalty, but in addition, it is possible that the location was chosen for strategic reasons, as the structures also show signs of being fortified, and a dry moat was used for additional security. 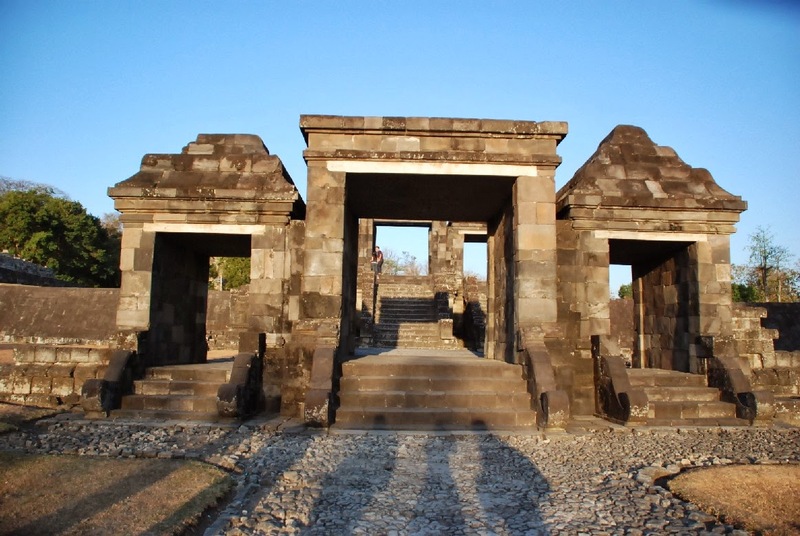 Grand stone gates, built on two levels, are the largest and most often photographed structures of the site, it is clear that these lead to what was once a settlement, which sets Ratu Boko apart from the other archeological sites in Central Java which are entirely religious in nature. The hilltop plateau is divided into terraces that are separated by stone walls and stone faced fortifications. The main residence is thought to have been built on a set of stone foundations with a timber structure for pillars and roof. The timber elements are no longer in place, but the stone base shows the scale of the residence. Throughout the area you can find small Hindu and Buddhist temples and structures, a fountain adorned bathing area, bath house, a crematorium, multiple caves, an area used as a public hall. The highly recommended time to get here is before sunset. When the sky is clear you will see the very beautiful view of this temple.